Looking for something a little different to be the centrepiece of your next dinner party? Something that would look just as impressive in the centre of the table as a roast chicken or leg of lamb? 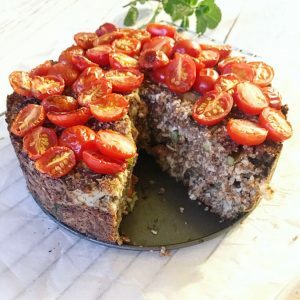 Try my Ham, Leek & Asparagus Risotto “Cake”. It’s a perfect opportunity to use the oven in these cooler months. Left-overs make for tasty lunches in the following days and you can simply omit the ham (or replace with some olives) for a tasty vegetarian meal. Cook the quinoa/teff/lentils/rice by the absorption method in some broth. Remove from heat and allow to cool. Heat a frypan to medium heat and sauté the leek, garlic, asparagus, rosemary, sun dried tomato and ham in a little Extra Virgin Olive Oil until just cooked. Transfer to a large bowl (remove rosemary sprig) and allow to cool. In the same bowl, add 3 cups of the cooked quinoa/teff/lentils/rice, riced cauliflower, teff /quinoa/rice flakes, parmesan if using, salt & pepper. Mix risotto cake ingredients together really well so that everything is evenly spread throughout. Whisk the eggs together in a separate bowl to combine then add to the large bowl and stir well to incorporate. Transfer the risotto cake mixture to a greased 20cm springform cake tin. 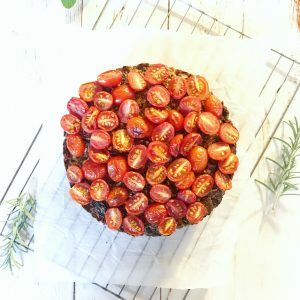 Arrange the cherry tomatoes on top of the ‘cake’ then place in the oven and cook for 60mins (if using the mozzarella, then just remove the cake after 40mins, arrange the mozzarella on top and return to the oven for the final 20 mins). 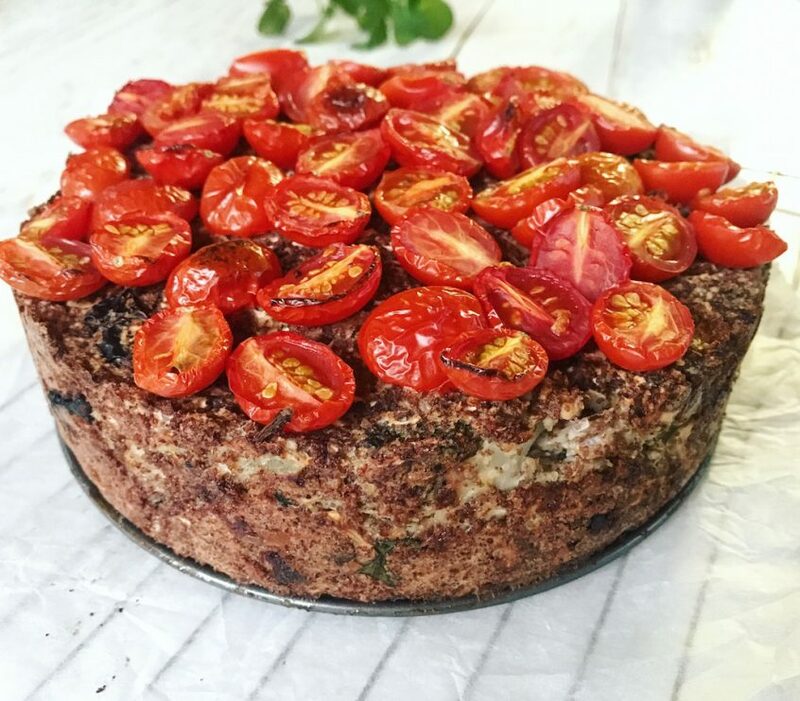 Remove risotto cake from the oven and serve warm or cold with fresh salad and some balsamic vinegar.